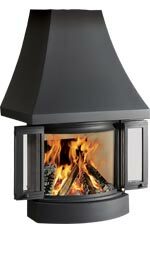 Nordpeis is pleased to introduce the stunning portrait wood burning fire, the X-20F. 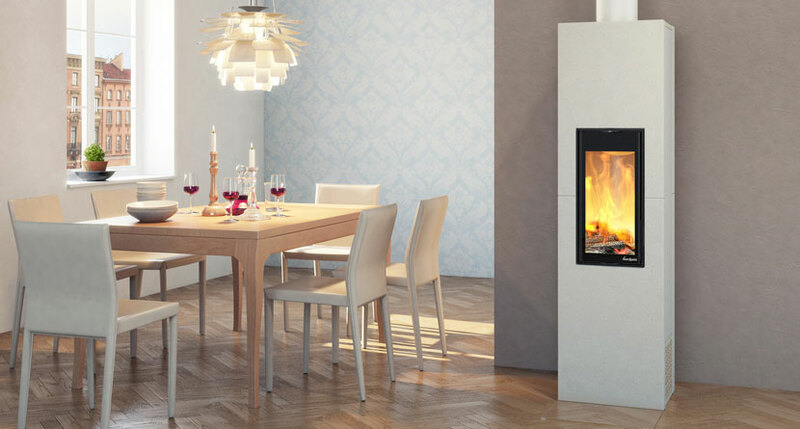 With a heat output of 5kW, this stunning fire is suitable for modern, energy efficient homes and joins the existing landscape X-25F wood burning cassette fire. 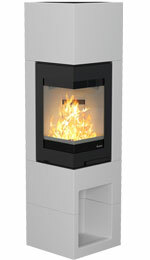 The X-20F is an elegant cassette fire and has a high efficiency of 76%. 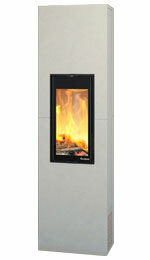 It offers the low heat required for these property types whilst also making it attractive for conventional homes. 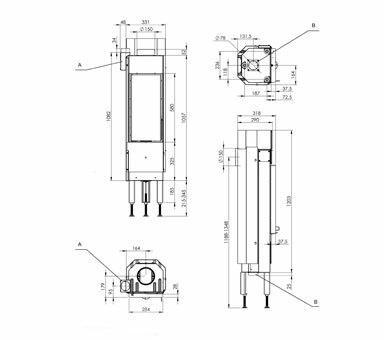 Tall, slim and effortlessly stylish, the Sakai is specifically designed to house the X-20F. 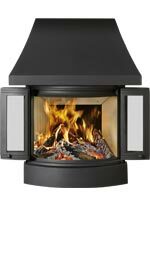 Integrating vents at the top and the bottom, this elegant surround will make a feature focal point of any interior with its clean, minimalist style. 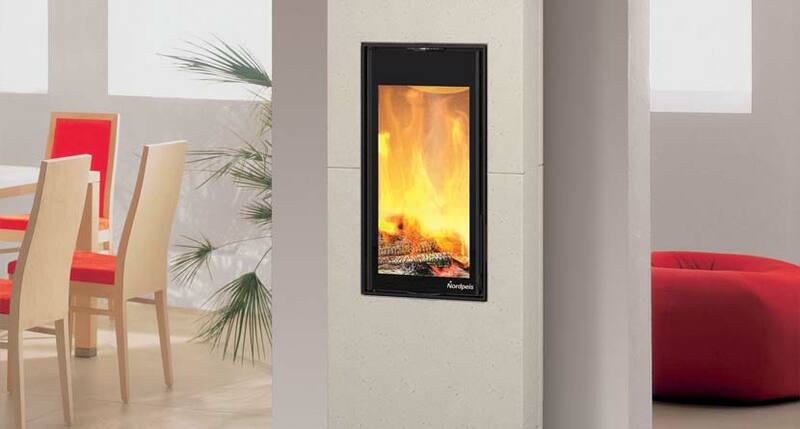 High efficiency fireplace that can be used a traditional open fire or for greater efficiency and heat output you can close the elegant bi-folding doors.